The great Protestant Reformation which occurred in the 16th century is undoubtedly one of the greatest moments in church history. Although Martin Luther’s pounding of the 95 theses to the door on October 31, 1517 was a momentous occasion, the Reformation did not happen instantaneously. It happened over a number of years through many different people. In this book, Diana Kleyn and Joel Beeke describe the life and ministry of many of those whom God used to bring about this Reformation including John Wycliffe, John Huss, Martin Bucer, Ulrich Zwingli, William Tyndale, John Knox, and John Calvin among many others. 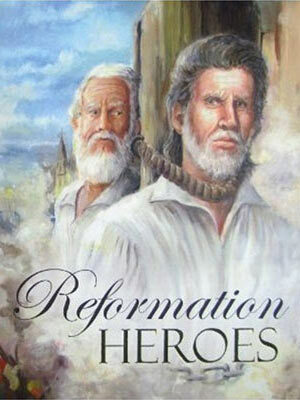 In a day when young people need true heroes, Reformation Heroes is an account of the godly men and women who have gone before us and have stood firm for God and His precious Word. Read this for yourself and/or with your kids and be encouraged by these heroes of the faith.